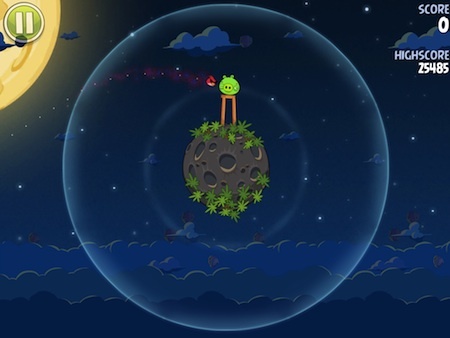 Yup, Angry Birds has gone to outer space. Which means they have to deal with planets, gravity and small round worlds when going up against them pigs. Fans of Angry Birds should enjoy the added level of difficulty as shooting birds have to deal with a lot more to make it to their targets. Gravity of planets can alter what looks like a perfect arch of flight. Also, there is nothing saying you can’t go the other way around a world to get to pigs and their buildings. By just the 4th level, we were having to use the gravity of one planet to get get the bird around the backside of another. 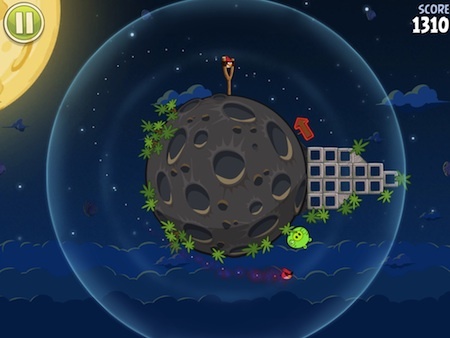 Think outside of the box… or ‘earth’ when you head out to space with Angry Birds Space HD!